COME TO OUR NEXT VOLUNTEER ORIENTATION! 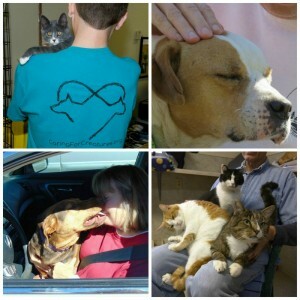 Would you like to help the dogs and cats at Caring for Creatures? Attend one of our volunteer orientations – you’ll get to meet our awesome animals and learn about the various ways you can help. Attend one or both of the orientations, depending on whether you’d like to work with our dogs, cats, or both! Dog walkers and ‘cat socialization specialists’ are always in high demand! In addition to working one on one with our animals, we need volunteers to help out with various adoption and fundraising events. For more information on volunteering, click on the ‘Volunteer’ tab at the top of our webpage. Come join our happy family. Our animals are waiting for you!